UCLA researchers have developed an injectable gel that promotes faster healing and tissue regeneration in skin wounds. Researchers from the UCLA Henry Samueli School of Engineering and Applied Science have developed an injectable hydrogel that helps skin wounds heal more quickly. The material creates an instant scaffold that allows new tissue to latch on and grow within the cavities formed between linked spheres of gel. The research was published online today in the journal Nature Materials. 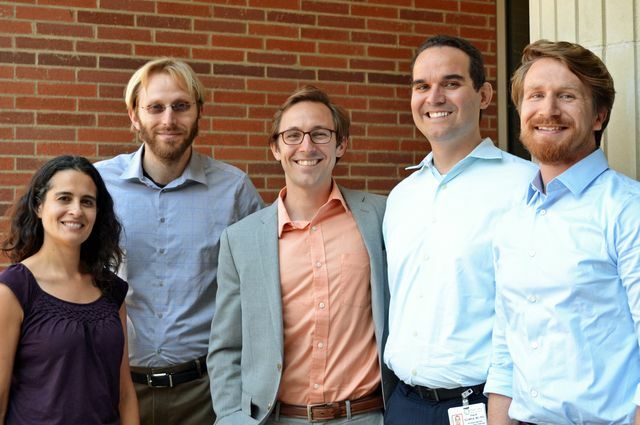 The study was led by co-principal investigators Dino Di Carlo, professor of bioengineering, and Tatiana Segura, associate professor of chemical and biomolecular engineering; and co-lead authors Donald Griffin and Westbrook Weaver, both postdoctoral scholars. Doctors treating skin wounds try to keep the area moist because dry wounds heal much more slowly than wet ones. To accomplish this, they often use topically applied hydrogel dressings or films, to seal over or cap the wound and provide moisture. In other cases, ointments are used to fill in the wound, much like filling a pothole with new asphalt. However, none of these materials provide an optimal scaffold to allow new tissue to grow as they degrade. As a result, the new tissue growth is relatively slow and fragile. “Our technology is beautifully simple, as it utilizes any available chemistry to generate tiny gels that can be assembled into a large unit, leaving behind a path for cellular infiltration,” Segura said. The result is a packed cluster of microscopic synthetic polymer spheres attached at their surfaces, something like a jar of gumballs that are stuck together. The cluster creates a scaffold of microporous annealed particles, or a MAP gel, that fills in the wound. New tissue quickly grows into the voids between the microspheres, and as the spheres degrade into the body, a matrix of newly grown tissue is left where the wound once was. New tissue continues growing until the wound is completely healed. The researchers demonstrated the MAP gel can promote the growth of new cells and formation of networks of connected cells at previously unseen rates. During in vivo tests, the researchers observed significant tissue regeneration in the first 48 hours, with much more healing over five days compared to materials in use today. “We envision this material being useful for a wide range of wound applications, from acute damage, like lacerations and surgical wound closures, to more chronic applications like diabetic ulcers and large-area burn wounds,” Griffin said. He noted the hydrogel scaffolds could be useful in trauma situations, such as battlefields or emergency rooms. Dr. Philip Scumpia, a clinical instructor of dermatology and dermatopathology at the David Geffen School of Medicine at UCLA, was also a co-author on the paper. 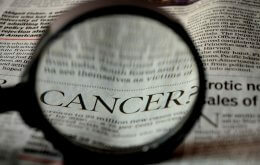 The research was supported by the National Institutes of Health. Griffin and Weaver received their doctoral degrees from UCLA Engineering in 2011 and 2013, respectively. The two of them, along with the faculty advisers, are looking to commercialize the technology.